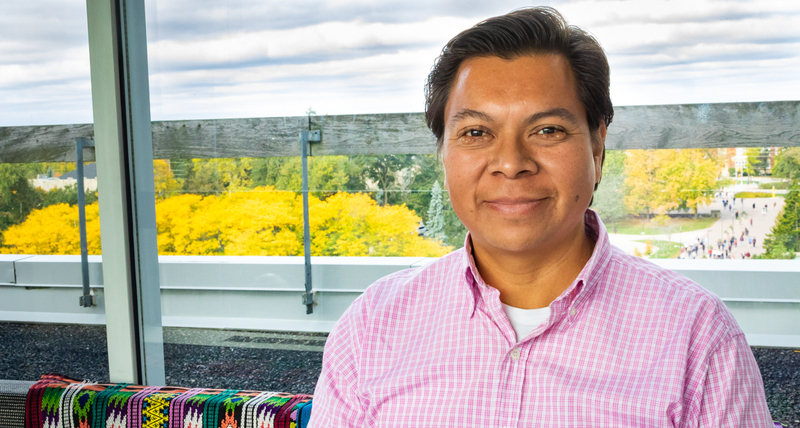 My graduate studies here at the University of Guelph have broadened my vision about the socio-economic, political and cultural conditions in Latin American countries. How will my research Improve Life? I intend that my research shed light on some of the advantages and disadvantages of getting the news from internet based news sites in opposition to traditional news outlets. I aim that this information help people to make better informed choices on where they get information from regarding important issues for the society at large. I chose to study the MA in Latin American & Caribbean Studies here because a friend in the university I was teaching at in Mexico had studied this same program, and told me very good things about it in terms of the courses and the faculty. Besides, the funding package I was offered as an international student was very good and allows me to pursue graduate studies here. I like that both of my advisors are experts in their field of study, which makes me feel confident that I am being well guided through my thesis work. In addition, my relationship with them is really good because I can contact them to ask for their thoughts about my work and I know that I will receive thoughtful and constructive feedback from them. Being a graduate student at the University of Guelph has been a rewarding experience for me because I have had classmates who came from varied professional backgrounds, which has allowed me to get an insight to other discipline's perspectives about the same issues I am interested in. Also, there are lots of resources available for students in order to facilitate them the process of adjustment to a new university and a new city, which is extremely helpful for international students like me. I really like all the available resources for students to maximise their academic preparation and their performance after graduation: extracurricular training on how to write for academic audiences, how to do presentations, how to write your thesis, how to improve your English skills, and so on. I also like the available support to prepare for the after graduation life. After graduation I would like to develop professionally in the area of international education. I have experience in the education field in Mexico and I have learned that the Canadian government and the universities have launched a strategy to attract more international students at both, undergraduate and graduate levels. My graduate studies here at the University of Guelph have broadened my vision about the socio-economic, political and cultural conditions in Latin American countries, and I think that my current experience and knowledge in the Canadian university system, in combination with my communication skills in English and Spanish, will enable me to assist potential students from Latin America interested in pursuing studies at Canadian universities. The time I have been living in Guelph, roughly one year, I have felt safe because it is a very quiet city and I like that. It does not have the problems that very large cities have. People are respectful and the city's natural environment is good so, in general terms, I think that Guelph is a very good place to live. I would tell them that pursuing graduate studies here is a great experience because of many things: the courses, the faculty, the campus, the events, the multicultural environment, the community feeling. I would tell them that they would definitely enjoy their time as a graduate student at this university.